The 2013 award categories were shaped so that initiatives are rewarded that are both innovative and impactful in hopes to further aid thought leadership and catalyze Indian industry’s move towards sustainability. 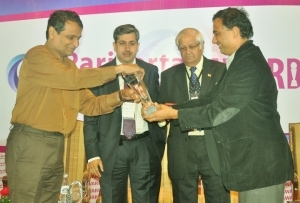 The award winners were felicitated at the evening plenary of the Annual Summit of the Sustainable Business Leadership Forum, India’s first market development forum on Sustainability and Innovation, held in New Delhi on October 17, 2013. Mr. Suresh Prabhu is a leading policy maker and has held several cabinet level ministerial portfolios in the Indian Government including Environment and Forests, Fertilizers & Chemicals, Power, Industry etc. He is also actively engaged in catalyzing Industry’s engagement on the development front and chairs several think tanks and industry working groups. Dr. Jahar Saha is a professor and former Director of IIM, Ahmedabad, a position he held from 1998 to 2002. He is an alumnus of the Indian Statistical Institute, Kolkata, where he earned his Masters degree in statistics. He had also taught at Lake Erie College, USA and had been Visiting Associate Professor at the University of New Brunswick, Canada. In addition, Professor Saha has been a Member of the Board of several private organizations; Member of Board of Life Insurance Corporation of India; and Member of local Board of Bank of America. His major interest is in resolving complex issues in management using concepts from mathematics, statistics, and operations research. Jahar Saha obtained his Ph.D. in Operations Research from Case Western Reserve University, Cleveland, Ohio. David Dornfeld leads the Laboratory for Manufacturing and Sustainability – LMAS with research activities in green and sustainable manufacturing; monitoring and analysis of manufacturing processes; precision manufacturing with specialization on chemical mechanical planarization for semiconductor manufacturing; and intelligent sensors and machine interoperability for process monitoring and optimization. He has published over 400 papers in these fields, authored two research monographs, contributed chapters to several books and has seven patents based on his research work. Dr. Bhaskar Chatterjee is presently the Director General and CEO of the Indian Institute of Corporate Affairs. He has been part of the Indian Administrative Service since 1975 and has held several positions of eminence in the Government including Principal Adviser in the Planning Commission, Additional Secretary – Ministry of Rural Development and Principal Secretary, Steel and Mines in the State Government of Orissa. For his outstanding work in the field of literacy, he was presented with the UNESCO NOMA Award by the President of India in 1999. Most recently, his widely acclaimed book, Leadership India – Leading Change, Changing Lives, was released at the World HRD Congress in February, 2011. K.C. Mehra, a veteran corporate executive, is currently the Chair of the National Board of Quality Promotion under the Quality Council of India. KC, as he is popularly known, has held several leadership roles within the Tata Group, including Chairman of Tata Robbins Frazer, Vice Chairman of Forbes Gokak, Joint Managing Director of Tata Steel etc. He has served as Chairman of SKF Bearings and has also been the Honorary Consul General of Sweden in Mumbai. M.K. Venu is a leading Business Journalist and is currently the Executive Editor of The Hindu. Previously he was the Editor of Financial Express. Prior to his role at Financial Express, Venu was with The Economic Times, where he worked in varying capacities for 12 years. He was Chief Editor, News when he quit the financial daily. Prior to The Economic Times, he had worked in national newspapers such as Hindustan Times and other publications of The Times of India Group. He has completed 30 years in journalism and has written extensively on India’s dynamic role at the WTO and its quest to become part of regional trade blocs such as ASEAN and the East Asian Summit, BRIC and so on. 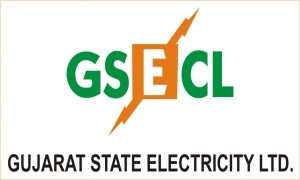 GSECL has a new vision & direction for generation of green power by installation of unique and innovative ‘canal top solar PV power project’ (for example, at village Chandrasan). It has effectively integrated ‘jalshakti with urjashakti’ resulting in a saving of land of @ 5 acre per MW & substantial water savings due to reduced evaporation of water in the canal. Infosys has been at the forefront of green initiatives – from implementing new technologies such as radiant cooling (leading to 40% reduction in energy), Polycrack technology to convert waste into oil, innovative ways to segregate and address toxic waste and reuse of CFLs and corporate water recycling and composting measures. The company has over 2 million square feet of truly world-class green buildings. 38.1% of ITC’s energy requirement in 2013-14 was derived from renewable sources. About 93.9% of the renewable energy at ITC is derived from biomass, 5.9% from wind and the remaining from solar. The Better Cotton Initiative (BCI) and Green Stores & Factories are two global resource innovations undertaken by M&S. As a result of BCI, a 37% reduction in pesticides, 25% reduction in fertilizers and 15% reduction in water has been achieved. Around 50% of M&S garments are composed of cotton source under BCI. M&S Green Stores and Factories have experienced remarkable reductions of 42%-50% in lighting power density and water consumption. Such stores have typically experienced an improved ROI as compared to their peers. ACC’s ‘Geocycle’ initiative is a waste transformation innovation involving co-processing of wastes in cement kiln. Coal saved through substitution by wastes which would have been otherwise disposed through incineration without any energy recovery has risen from 54712 tonnes in 2010 to 91,430 tonnes in 2012. 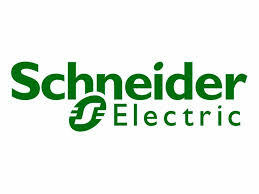 Schneider Electric has been at the forefront of the resource conservation discourse with its focus on: (a) achieving reduction in energy consumption; and (b) e-Waste Management. Attero has developed a patent-pending, environmentally friendly and efficient way to extract pure metals from e-waste. The company has developed a Pan-India reverse logistic service as part of the Clean E-India initiative to enable properly handling and collection of e-waste in the supply chain. Greencon saves cooling energy in the form of ice at night and uses the same during hours of load shedding to save on diesel and reduce CO2 emissions by over 50%. Ice thermal storage creates values for many stakeholders. Eram’s eToilet, India’s First Electronic Public Toilet, incorporates full cycle approach in sustainable sanitation for controlling entry, usage, cleaning and exit through convergence of electronics, mechanical and web-mobile technologies leading to remote monitoring capabilities and flexiblerevenue management. Aspiration Energy has successfully rolled out ETC technology that delivers heat based ‘Energy as a service’ model to support industrial process heat applications with no initial CAPEX. Tata Consultancy Services (TCS) for the most consistent public disclosure on Sustainability parameters over the 3 year period between 2010 and 2013. Gas Authority of India Ltd (GAIL) for the most consistent disclosure by PSUs (Public Sector Undertakings) on Sustainability parameters over the 4 year period between 2010 and 2013. CDP with its activities in India has helped raise the profile of conversation on carbon, energy and water issues amongst Indian corporates. 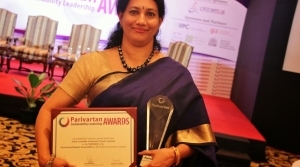 Instituted by Sustainability Outlook, Parivartan Awards aim to recognize those companies and individuals who have demonstrated comprehensive business leadership in sustainability.